Do My MS Symptoms Qualify for Disability? Most applicants who live with Multiple Sclerosis have a number of symptoms that limit their ability to work. Many work long after they are diagnosed with MS. Multiple sclerosis (MS) is a disease of the central nervous system and affects the spinal cord, brain, and optic nerves. Symptoms occur when the protective lining of the nerve fibers—known as myelin—is attacked by the body’s immune system. Without enough myelin to coat the nerve fibers, communication between the brain and other body parts is disrupted. to the development of MS, including where a person lives and genetic predispositions. If you’ve been diagnosed with MS, getting the facts is a critical first step for managing this disease. While there's still no cure for MS, it’s possible to control the symptoms and live a long life. Being diagnosed with MS does not shorten your life expectancy. In general, people who suffer from MS have the same life expectancy as those without the disease. It’s only in rare and severe cases that patients experience a shorter life span. While MS may impact the quality of a person’s life, it doesn’t typically affect the length of life. However, the symptoms of the disease and its gradual progression can make day-to-day life challenging. Warmer environments can cause difficulties for people with MS. Warm environments, surroundings, and exercise can trigger symptoms of the disease and make a patient feel sick. Heat can make it more difficult for demyelinated nerve cells to carry and communicate electrical signals. Consequently, doctors often recommend that MS patients avoid getting overheated whenever possible. Even taking a hot shower is enough to cause a flare-up in symptoms. But these hot environments don’t increase the progression of the disease. 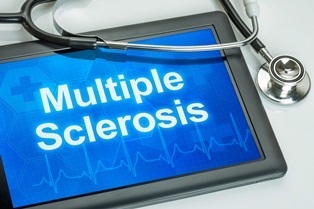 Most doctors require at least one test to confirm a diagnosis of MS. But once an exam and all testing are completed, a doctor will look at all the evidence and information available to determine if a person has MS or not. People with MS suffer varying symptoms and experience them differently. Patients suffering from MS may have problems in a number of areas, including cognitive difficulties such as memory loss, concentration issues, and challenges with word recall; vision issues such as blurred vision, loss of color vision, blindness in a single eye, double vision, and uncontrolled eye movements; bladder and bowel problems; and fatigue, which also includes “lassitude” or “MS fatigue” that many believe is unique to those who suffer with MS. It's more serious that simply feeling tired and typically happens every day and can occur even after a patient has a good night’s sleep. Lassitude fatigue seems to increase if the patient experiences heat and humidity. Even though the Social Security Administration (SSA) cites MS in its Blue Book of impairments, it’s not easy to obtain disability benefits for this disease. To fully understand the application process and the requirements to qualify for MS disability, it’s helpful to hire a Social Security (SS) disability attorney to advocate on your behalf. If you or a family member suffers from MS and you want to learn more about SS benefits, the attorneys at Cuddigan Law can offer experienced, skilled assistance to help you get the benefits you need and deserve. Contact us by phone (402) 933-5405, or fill out our online form. Can I Get Disability Benefits for MS?